Reuters reports that the head of Asian soccer declared his commitment to tackling the “illegal Israeli practices” hindering Palestinian soccer on Thursday, adding that he expects measures to come in the new year after talks with FIFA President Sepp Blatter. 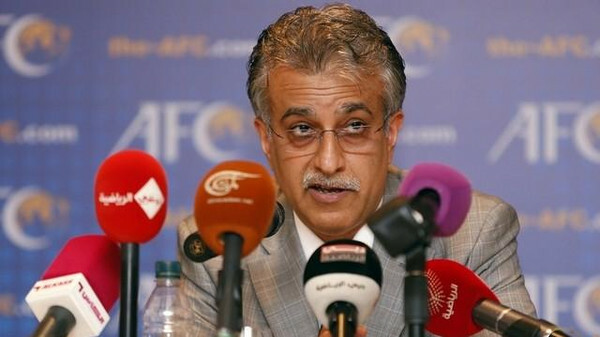 AFC President Shaikh Salman bin Ebrahim Al Khalifa and Blatter both voiced their displeasure last month after Israeli army forces stormed the Palestinian Football Association (PFA) headquarters in Jerusalem. PFA head Jibril Al Rajoub called on FIFA to sanction Israel and show them “the red card” after the incident, which he said followed the blocking of Palestinian players from leaving to play in international tournaments. The trio met in Morocco along with Union of Arab National Olympic Committees President Prince Talal bin Bader Al Saud, with Shaikh Salman confident measures would come against former Asian Football Confederation members Israel by May. “Mr. Blatter showed a significant understanding of the suffering of football in Palestine due to the illegal Israeli practices which are against all international charters and conventions,” the Bahraini said in a statement after the meeting. “This subject will be raised at the next meeting of the FIFA Executive Committee and we are confident that the next stage will see steps taken to support football in Palestine, and give guarantees to stop the Israeli violations. Several FIFA meetings are scheduled to take place in March but the next executive committee meeting of soccer’s world governing body will take place in Zurich in May. Palestine, who became FIFA members in 1998, will compete in their first Asian Cup next month, with Al Rajoub unsure whether all their squad will be allowed to travel to Australia for the Group D matches against holders Japan, former winners Iraq and fellow West Asians Jordan. Al Rajoub said that his side, ranked 113th by FIFA, had been without six players for the Challenge Cup in the Maldives after Israeli forces blocked their departure. However, Palestine, who were named National Team of the Year by the AFC last month, managed to win the now defunct tournament to qualify for the 16-team Asian Cup.